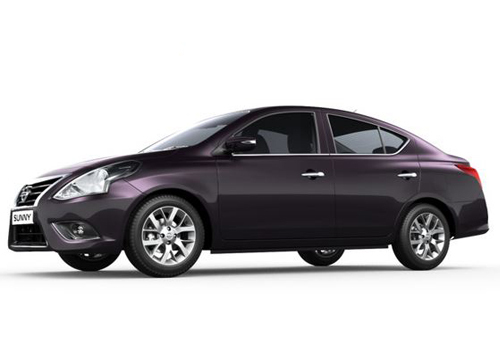 Finally the wait of facelift Nissan Sunny sedan by Japanese car maker Nissan Motors came to an end with its launch at starting price of Rs. 6.99 lakh (ex-showroom price in New Delhi). The facelift sedan was showcased during the Indian Auto Expo 2014 and is blessed with latest features which make it more elegant than compared to outgoing model of Sunny. The car maker has continued the existing line-up in both the petrol and diesel variants of facelift Sunny. The petrol adorns the same 1.5 litre petrol engine churning the power of 98 bhp and torque of 134 Nm, whereas the diesel variant is empowered with 1.5 litre diesel engine boosting the power of 85bhp and torque of 200 Nm. The engines in both variants would be mated with five speed manual transmission system followed by CVT gearbox in petrol variant. The changes offered in the exteriors of facelift Sunny are newly developed boomerang shaped headlights along with enlarged front grille. The upper portion of front bumper receives chrome garnish while the round shaped fog lamp adds an additional taste to the front fascia. As far as side profile is concerned it does not carry any major change except the placement of side indicators mounted on mirrors and the new wheel design. Moving towards the rear it bestows newly developed bumper and new chrome strip at the upper portion of registration plate. Inside cabin the sedan receives new color combination interiors of gloss black central console and beige colored interiors. Apart from this the top end variant sports colored infotainment system. As far as safety measures are concerned ABS+EBD are offered as standard safety features, while the top end variant also receive front and side airbags.